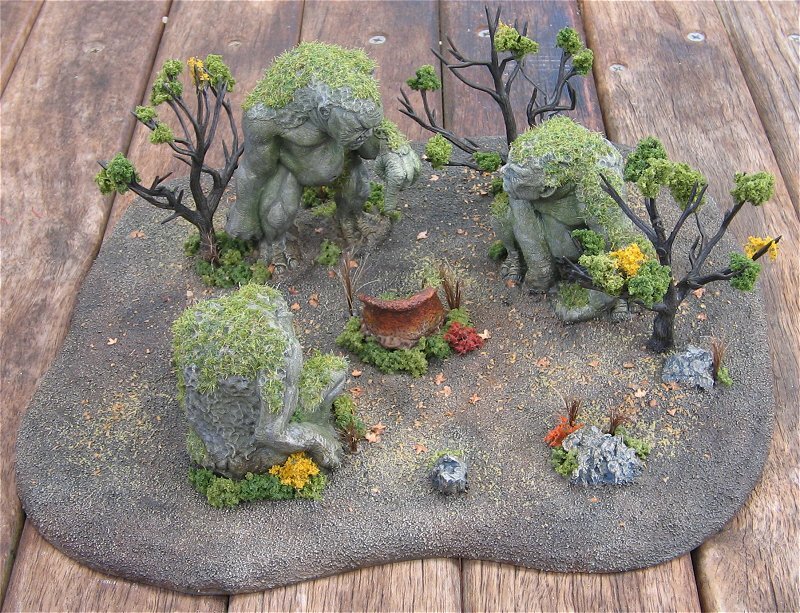 20 Responses to VARIOUS TERRAIN PIECES AND DIORAMAS. 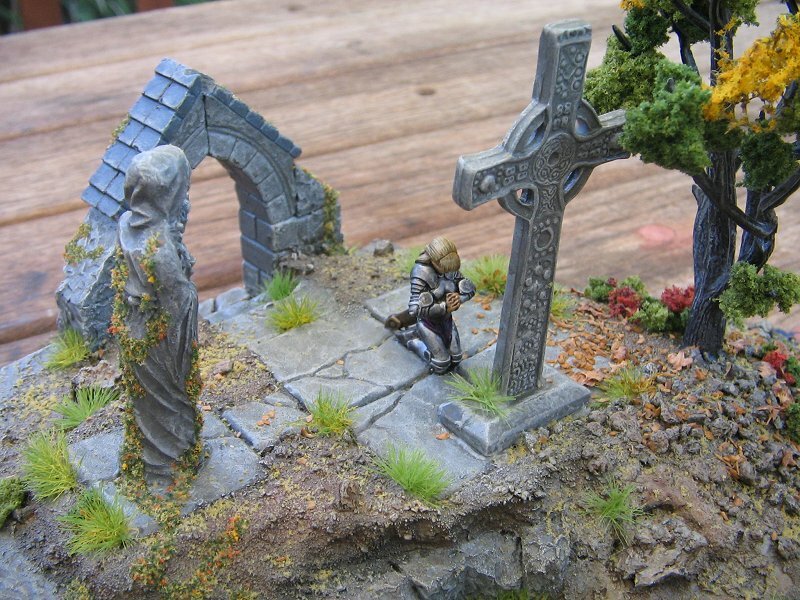 Do you do commissions on Terrain pieces at all? Thanks for the kind words Carlo. Unfortunately, I don’t do commission work at the moment. This is not the right place to ask this at all but couldnt find any alternative to get in contact with you!! 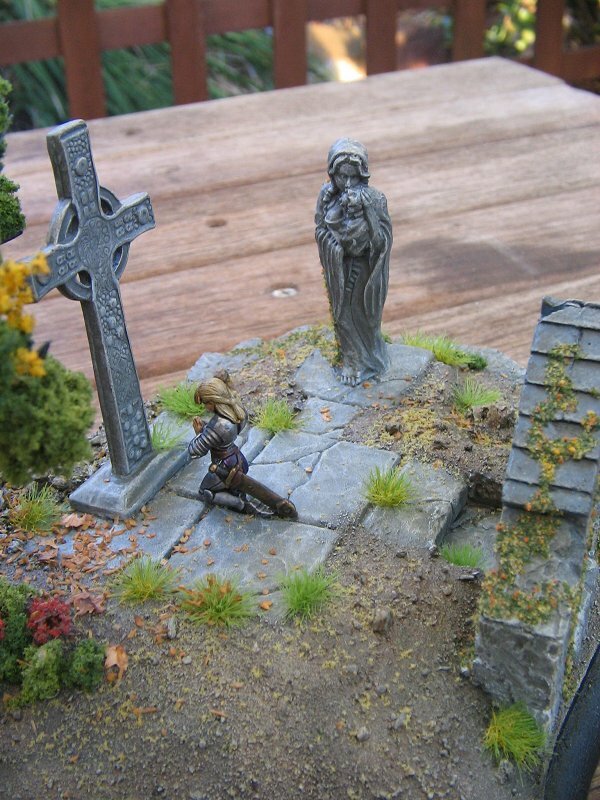 On the diorama you made “A Fortress of Gondor, Dol Amroth… & Mordor.” and also the “Helms Deep” diorama. What HA mould did you use to make the gates?? I made the gates using balsa wood. I think I speak for everyone who has visited your site when I say WOW! 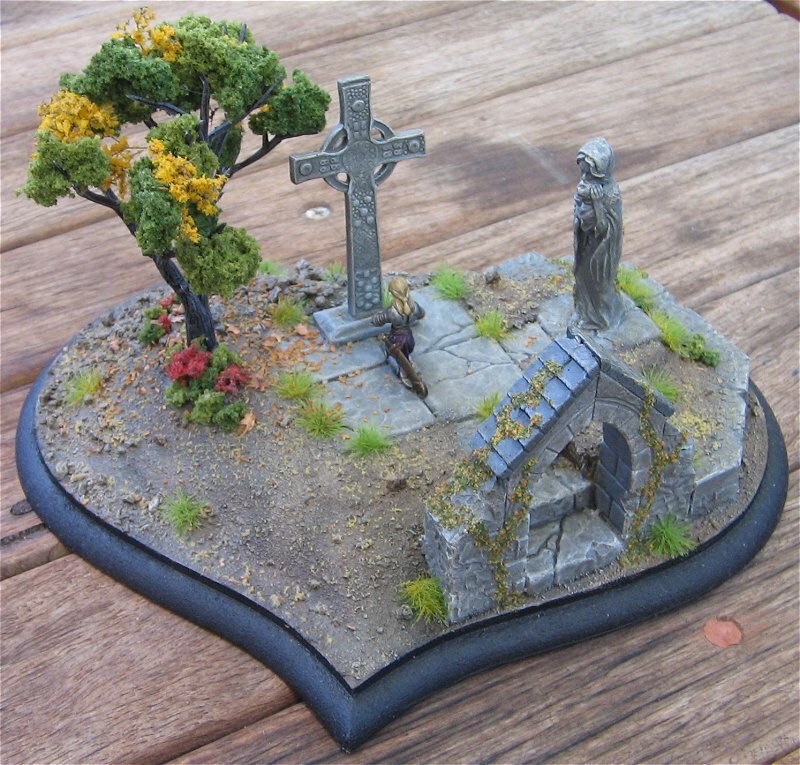 Quick question though: you would not happen to remember the Hirst kits you used on the LOTR Unsung Heroes tournament terrain would you? I saw some of them and was looking for a similar collection to add to my already overlarge terrain cabinet. Hello. Wonderful website and spectacular armies. I recently purchased rules and have some unpainted armies. I love this awesome game. 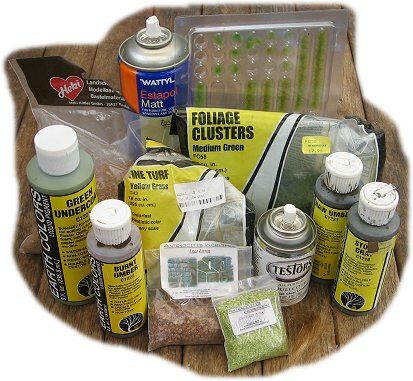 I was wondering if you would be interested in selling some of your armies to me. Please e-mail me if you are interested. 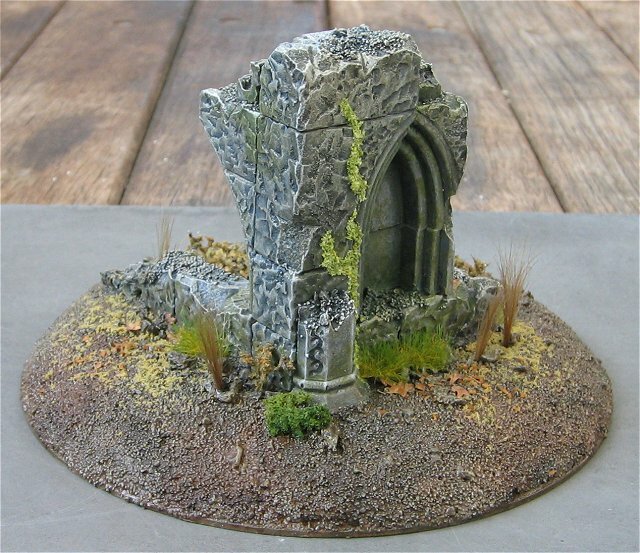 None of my armies/terrain are for sale at the moment. 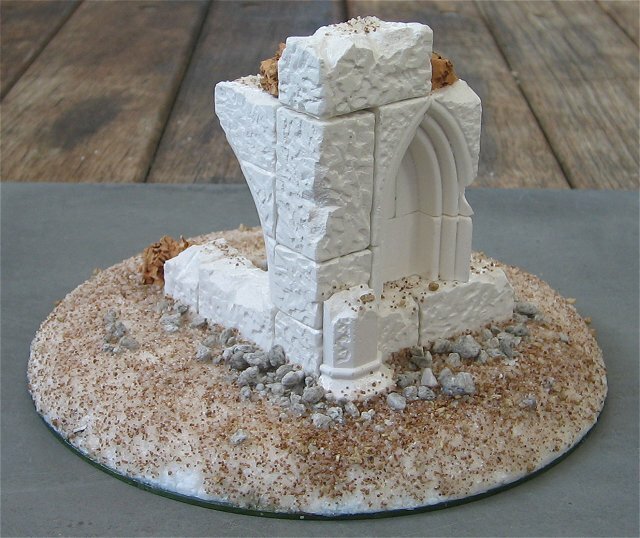 Hi, I was admiring your work and was thinking of possibly building my own terrain when i happened upon your helms deep model and was wondering if you had a possible block count for the finished piece. I was either planning on buying the molds or maybe just buying the blocks from various sellers. I know you posted an image of the blocks before hand but i was just wondering if you kept a record of the number of blocks you used from each mold since it may be cheaper to buy the made blocks in bulk rather than purchase the molds themselves. Thank you for your time and the amazing/inspirational pictures of your work. I’ve been asked this question a few times over the years! Unfortunately, I didn’t keep a count of how many blocks I used. The picture of the blocks drying is nowhere near all the blocks I used. Just thought I’d drop you a quick line to see if you’re up for any commission work this year? Thanks for the question but I’m taking a break from commission work to try and get some of my own projects finished. Love your Epic-scale terrain! 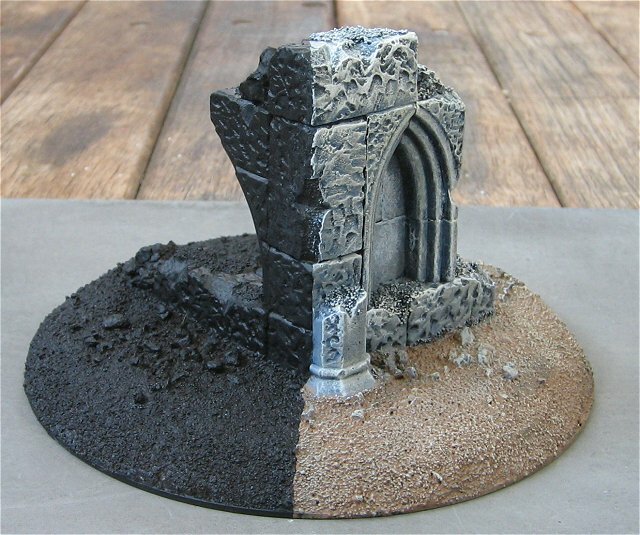 What did you use for the little wall pieces with the blue-tiled roofs, as seen in your Ruined Building section? (they can be seen to the right of a close up of the ruined cathedral)? 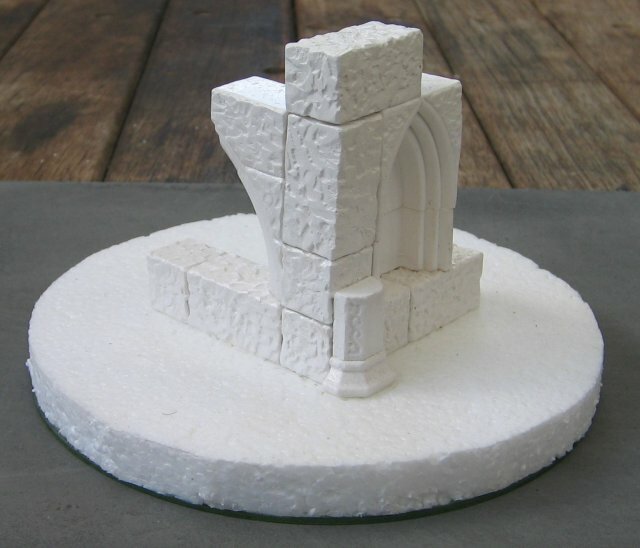 It seems that JR Miniatures not longer carries the arch or Cathedral – any other suggestions for where to find something similar? Just for an FYI, the tank factory you have a picture of is a Forge World OOP piece. There is one for sale on ebay right now, with 2 days left on the sale – the current price is $677. Again, all of your work is superb! You set a very high bar to aspire to. The walls you mentioned are from Armorcast. I don’t know any other suppliers of the arch. 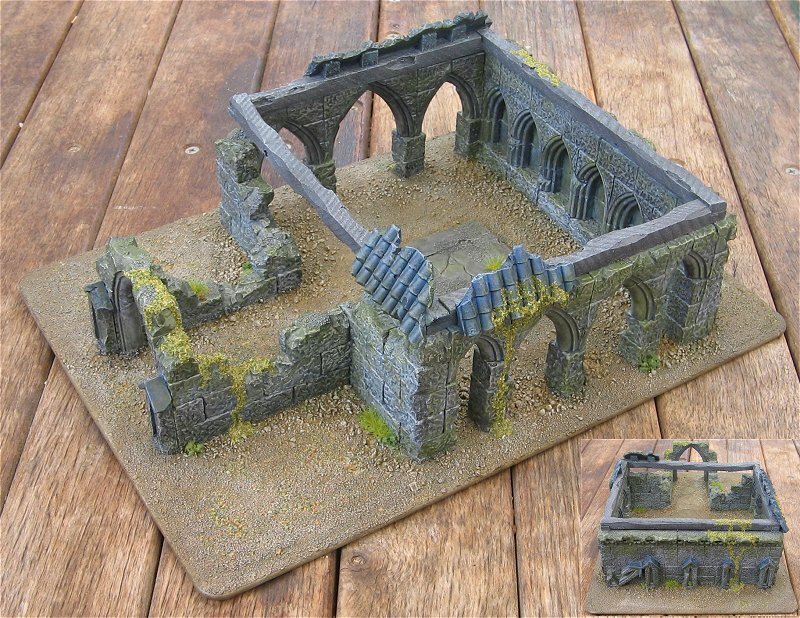 Keep an eye out for 15mm WWII terrain and hopefully you’ll find something soon. Sadly I know very well that the FW Tank Factory is OOP but it doesn’t belong to me (we borrowed it last year for the campaign and tournament). I also know that some people will pay silly prices for these things! Thank you for your help in locating those small wall pieces! I did not mean to imply you didn’t know what the FW tank factory was – I typed that badly. I just meant to leave an FYI about the very high price one was currently going for on ebay. I have identified or located (thank you for sharing the stores where you got a lot of these pieces!) 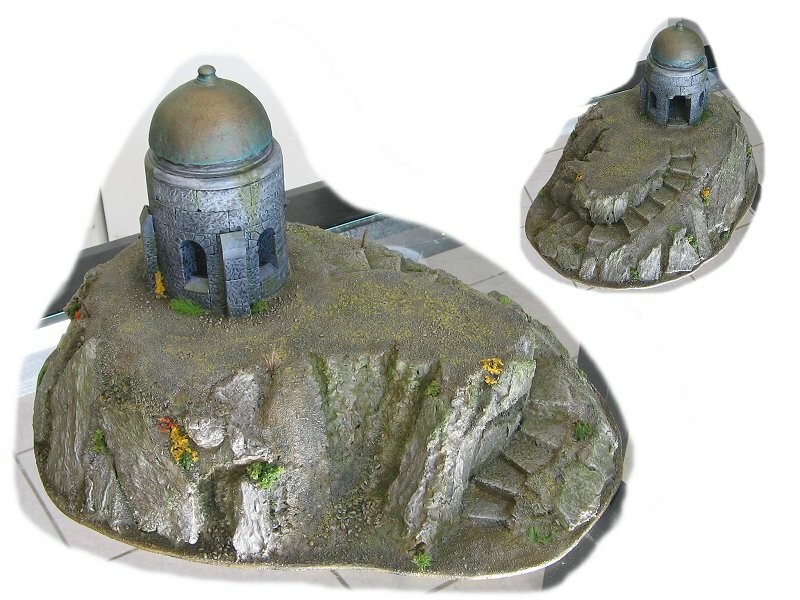 almost every piece of terrain in your pictures (even found that 15mm Italian arch – shipment on its way) except for two pieces. In the picture labeled “city fight 2”, where did you find the large, half-ruined dome? The walls around it appear to be the standard GW plastic ruined wall pieces. And in the same picture, just over the scout titan and back towards the right a bit, is a small building with a blue roof and what looks to be pillars on one side. What model is that and where did you find it? Again, thank you for all your help. I’ll have to send you some pics of my battle board when it is all done, if you are interested. You sir are simply amazing. 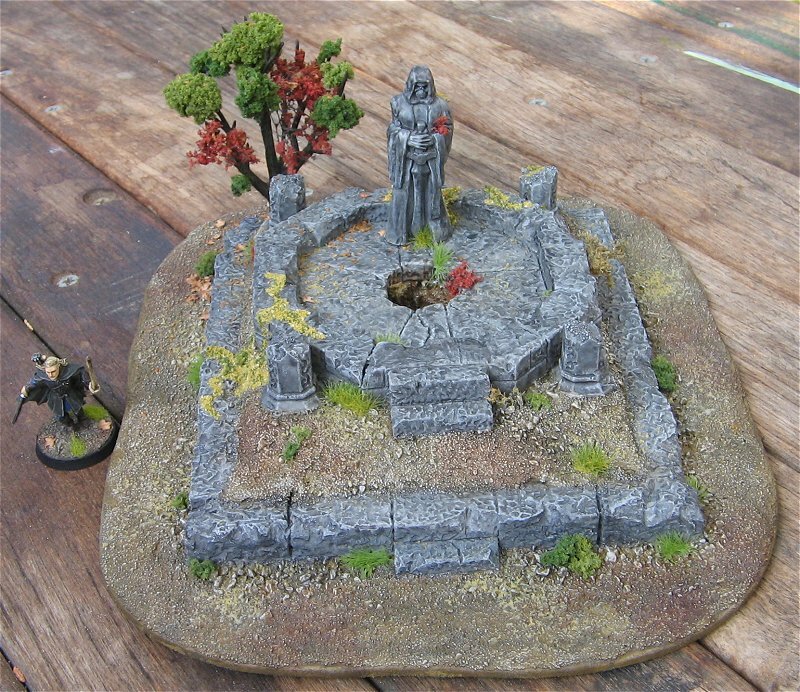 The best LotR terrain maker I’ve seen, your work is incredible detailed and amazing. I’m planning on making my first board ever and your work is a huge inspiration. Keep up the good work! Fantastic tutorial, thank you for posting it. Your work is really incredible, and i would love to be able to do things like this. What i was wondering, is wether you could show us how to do it very basically- say few molds, not very big and basic tools. I am 16 and really love crafting my own houses. 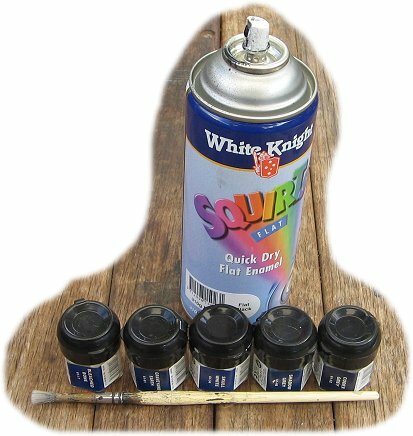 I am a crazy LOTR fan and when i realised you cant buy scenery hobby kits for LOTR, i was quite upset. 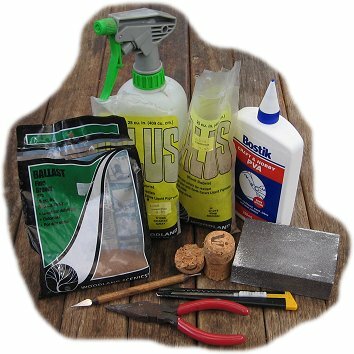 It would be really great if you could do a walk through for beginners with only basic materials.